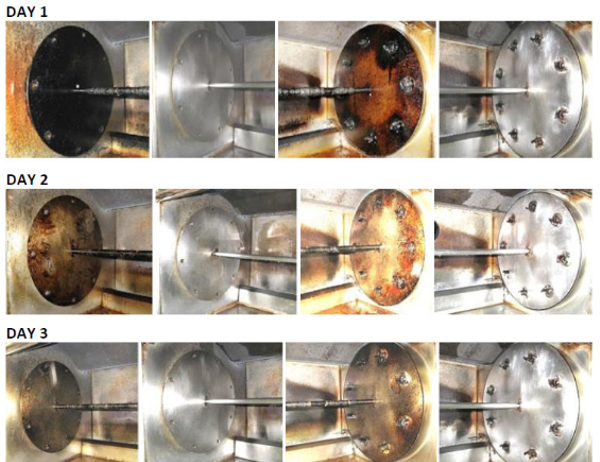 Accell Clean® Heavy Duty Degreaser is a water-based degreaser designed to be used in a wide variety of applications for the removal of oil and grease from surfaces. Accell Clean® Heavy Duty Degreaser is a water-based degreaser designed to be used in a wide variety of applications for the removal of oil and grease from surfaces. 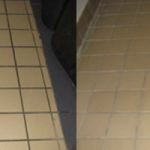 Product can be used on metals, ceramics, porous surfaces, concrete, and grout. Test the compatibility of product with rubber or plastic components before full scale use. Product may damage some paints. Accell Clean® HDD is incompatible with PVC, Polyurethane, or Tygon® for extended periods of time. 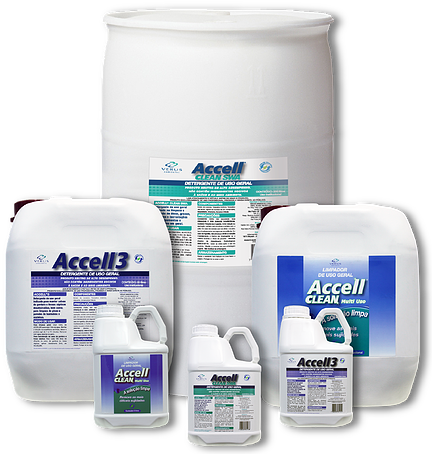 Use 1-8 ounces of Accell Clean® HDD per gallon of water depending on level of soiling. Pre-clean the surface of solids, apply the diluted product until drenched, let the product set on the surface for about 5 minutes, more if soaking racks or filters, and then wipe the surface with a damp cloth or scrubber as necessary. Rinse the surface and let it air dry. Contains benzyl alcohol, may not be compatible with certain plastics: ABS, PVC, Polyurethane, and Tygon®. 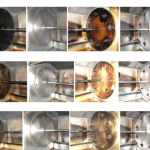 For oils thickened by heat and time: warming trays, hood filters, cooking racks, etc., soak in sink per above dilution for 20-30 minutes and wipe. Accell Clean® HDD concentrate should be handled with protective face/eyewear and gloves.